In the 90s, I wrote (online) my most intimate thoughts for anyone who would read them. The concept of personal boundaries was new to me. Back then, I called what I did “web columns.” In 2001, a friend of my then-husband called my writing my “blog.” I thought it a quaint term used by a computer geek (as it was). When blogs went mainstream, I resented and resisted the term. I’ve since accepted the label, but am now challenged by the content. As everyone and her sister (and brother and cousin and step-son and grandmother and co-worker and politician and business owner and…) share their offline lives via the Internet, I find myself wandering in a bit of a daze. Or, shocked like a pinball being whipped around, slamming against bright lights and loud sounds. What do I want to share online? What is the point of it for me? With the addition of the significant consideration of my family’s privacy—especially my children—and my growing need for a more professional public presence, most content feels inappropriate. 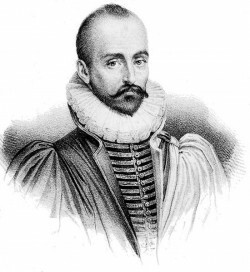 Then, I listened to Montaigne’s essays. I am reminded of the value of sharing my introspective fascinations. The richness of my inner life deepens when I write regularly about my thoughts. I also miss experiencing a response from readers. Next week I will begin as a (monthly) columnist for The Bangor Daily News. Based on the comments following my op-ed in October, I’ve found a forum to experience responses from readers. I’d like to return to “blogging” (writing!) here on serenebabe.net. The Montaigne essays inspired me. As I said in a tweet, “Comparing myself to Montaigne is so Montaigney of me.” I have no interest in publishing hyper-personal journal entries. I won’t take time to follow current events enough to dissect my opinions about many of them (and the BDN column provides some space for that type of content). It feels good, being attracted to using this space again to write about random thoughts and ideas as they occur to me. As I’ve said twice now, I’ve missed it. I’m not sure what will end up “published” here, but I know I want to find out. 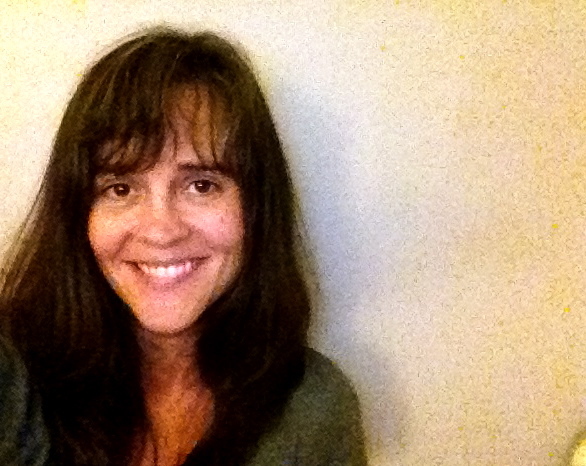 This entry was posted in grantwinners.net, mindful living, this blog, writing and tagged creativity, mindful living, mommy blogger, personal growth, social networking, values, writing by serenebabe. Bookmark the permalink. As always, I love your posts. Nicely done, and congrats on the BDN column. As you and he say, there are clear if not clearly definable benefits to sharing our inmost thoughts. But on a public or semi-public blog, we feel a lot of constraint. I could share a lot more; but even if I had the time, I would share a lot less than there would be to share. Already I feel like I’m pushing boundaries, and they are barely discernible. Congrats on the BDN gig! That takes measures of ability, discipline and persistence that many of just plain don’t have. Thanks on the congratulations for the column. I’m less pumped up about it only because I’ve already written the next three columns so I don’t get to write more for a while. Still, AMAZINGLY GRATEFUL is how I feel. Really excited. As far as the constraints, I find them fascinating. As with my paintings, if I consider how others might receive them I end up painting nothing. But, with writing, I can find subject matter that satisfies me and is respectful of those in my life. I don’t know, though, everything is so different now that everyone is here, if that makes any sense. Thank you so much for your note! The column really is a dream come true on so many levels. I appreciate your encouragement! I truly enjoy looking at on this website , it has got superb blog posts. “We find comfort among those who agree with us–growth among those who don’t.” by Frank A. Clark.